DNA filter elution methods are widely used to assess DNA lesions such as single- and double-strand breaks, alkali-labile sites, interstrand crosslinks, and DNA-protein crosslinks in mammalian cells . Such DNA lesions are likely to be involved in the production of cytotoxic and mutagenic effects of drugs and chemicals, and the assays are often sensitive enough to detect actions at doses pertinent to the mechanisms of antitumor and carcinogenic effects. Recent work has utilized the technique to investigate the factors that determine the sensitivities of different cell types to anti-cancer drugs. 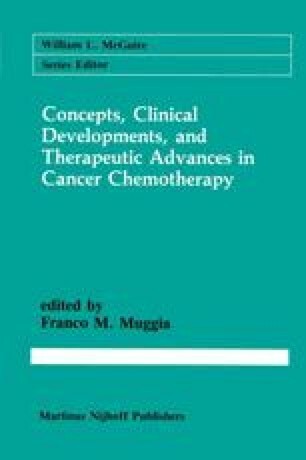 This chapter reviews some recent results, mainly from my laboratory, that illustrate how the technique can be applied to studies of drug action mechanisms. Before going on to these findings, however, current knowledge of how the technique works will be summarized.